Lee Ginenthal loves roses. And it’s a good thing for me, and for all you cold climate gardeners out there, that Lee decided to focus on hardy roses which thrive in USDA hardiness zones 5, 4, and even 3. 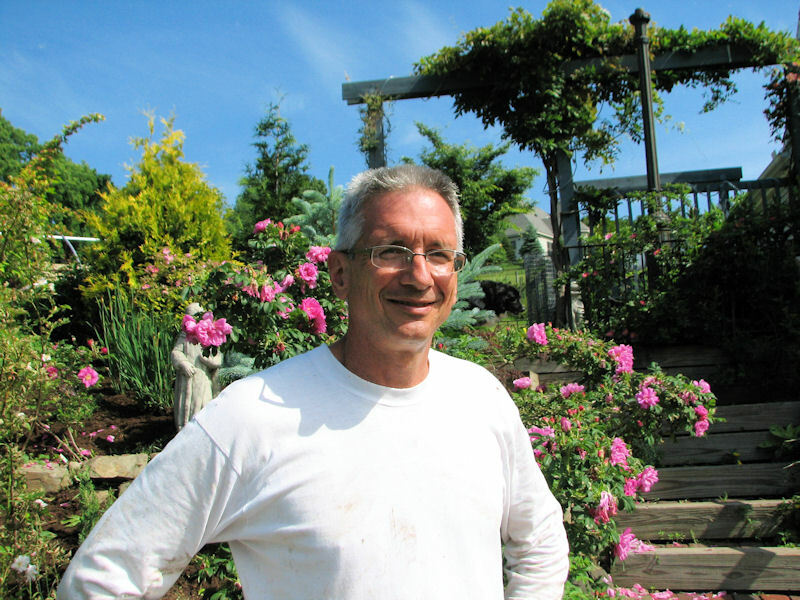 Lee operates Der Rosenmeister nursery from his home outside of Ithaca, NY. I visited there in mid-June with Elizabeth Licata, editor of Buffalo Spree, who also blogs at Gardening While Intoxicated and Garden Rant. We were in Ithaca to visit the Garden Conservancy’s Open Days gardens, but I wanted to pick up a rose my daughter admired for her birthday. 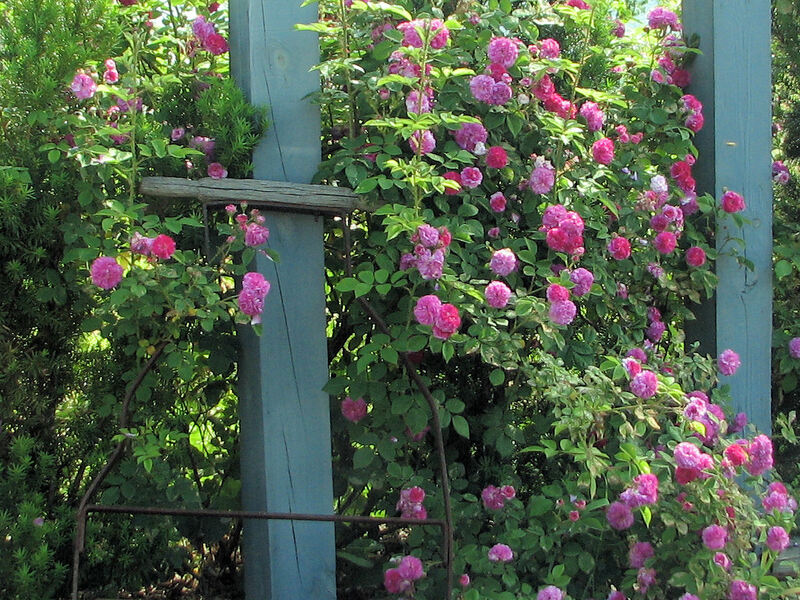 June is the perfect time to visit a rose nursery, as most of the spring bloomers are at the height of their powers. Roses just spilled out everywhere. If you ever doubted that roses could grow in cold climates, a walk around the display gardens would have put that doubt to rest. As we toured the nursery, Lee gave us a running commentary on each rose as we drew near it. Here’s some of what he shared with us. says it is hardy to Zone 5. At the present time, Lee does not ship roses. You’ll just have to visit his nursery, where you can see the roses trained on every kind of structure imaginable. He makes the structures himself. Some of the rose structures, as seen from the hoop house. 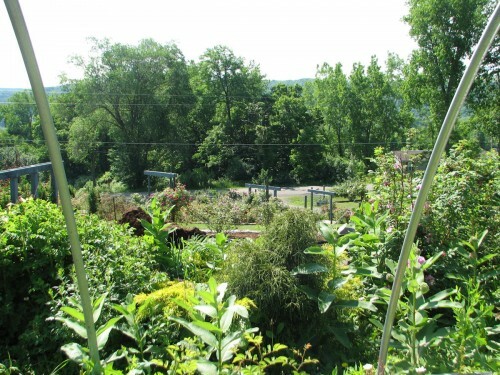 If you can reasonably drive to Ithaca, NY, you’ll find plenty of other horticultural places of interest to visit, even if you don’t manage to arrive for an Open Days weekend. what super looking gantlets, just what’s needed. can you please give me supplier details. since I saw them on your blog re. pruning, I’ve searched UK and found nothing comparable. iam comming to see this in person some day i promise!!!!!!!!!!! .-= Donalyn´s last blog ..If you need me for anything =-. Those are beautiful roses I wish I could travel to NY to at the very least visit. 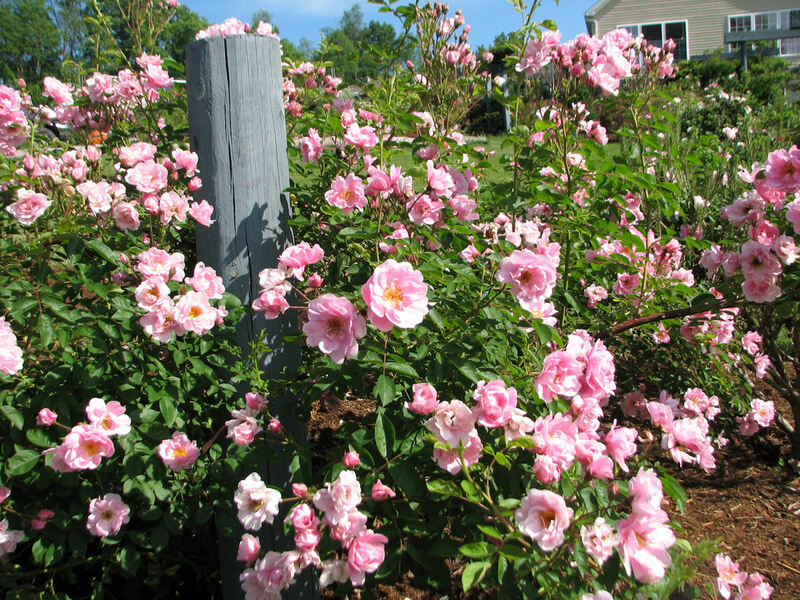 I’d love to get a few hardy roses the ones I have die back each year and they look worse and worse each year. .-= Chiot’s Run´s last blog ..Summer Fun: Swimming =-. Wow, that sounds like a great visit. I particularly love Russell’s Cottage Rose. 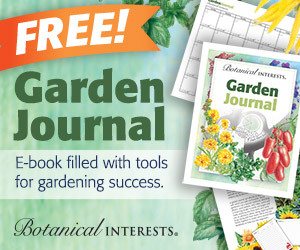 .-= heirloomgardener´s last blog ..New Blogger Gadget Added: Recent Comments =-. I really appreciated the names of those hardy roses. I’ll be looking for them at other nursseries since I won’t be getting up to Ithaca any time soon. .-= commonweeder´s last blog ..At Least It Didn’t Snow =-. 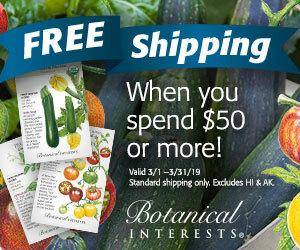 You can also check Lee’s website for a list of roses he grows. The designation ADR means it has passed a rigorous German rose trial. Any rose that has that designation (not necessarily from Der Rosenmeister) should be very disease resistant.